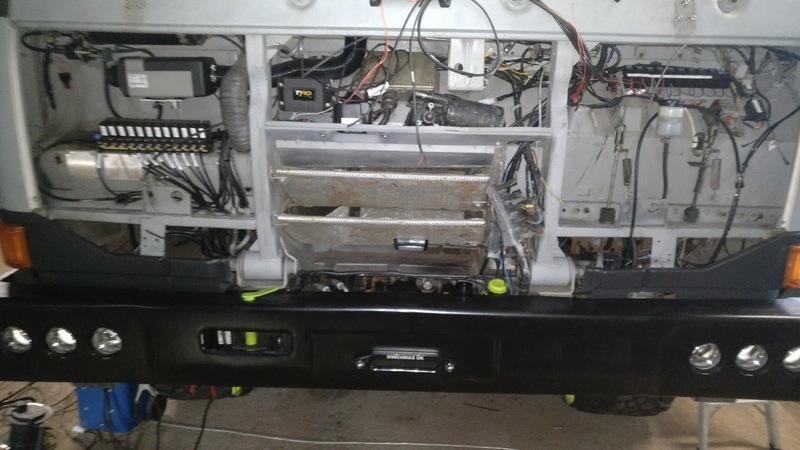 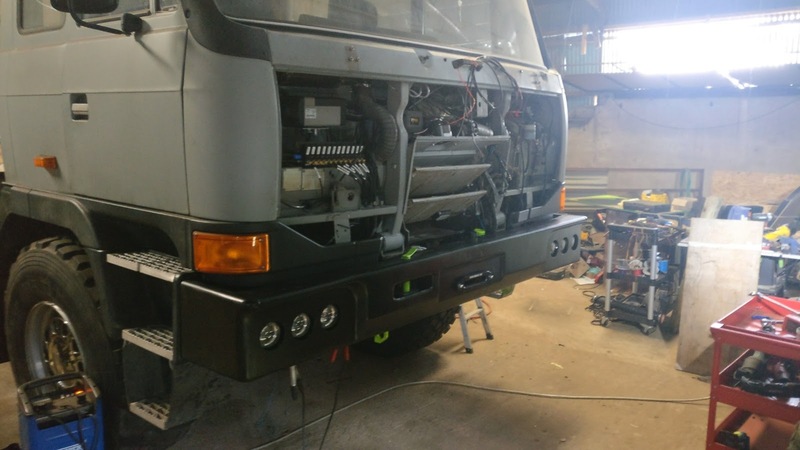 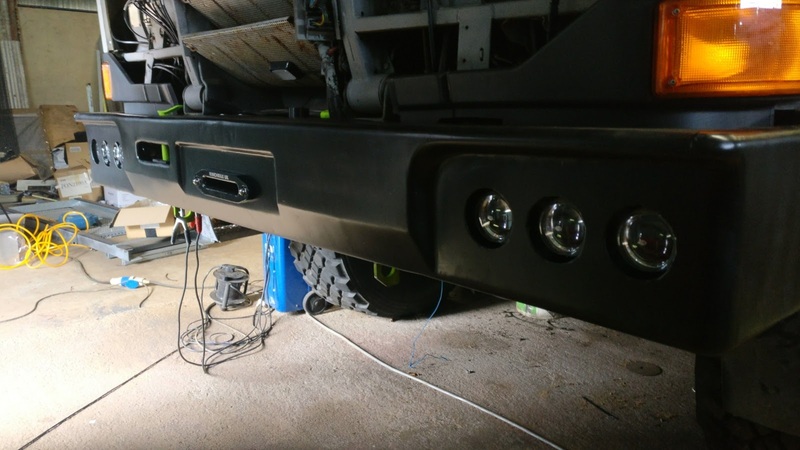 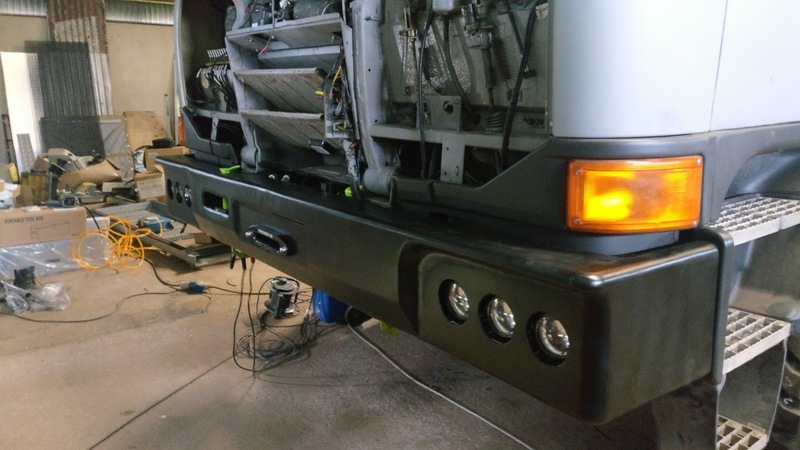 Tatra Overland Truck Build: The Bumper is on. I got a chance to fit the bumper today, The usual hassle with bolts not lining up, but it went on in the end. I like it, it worked out well. 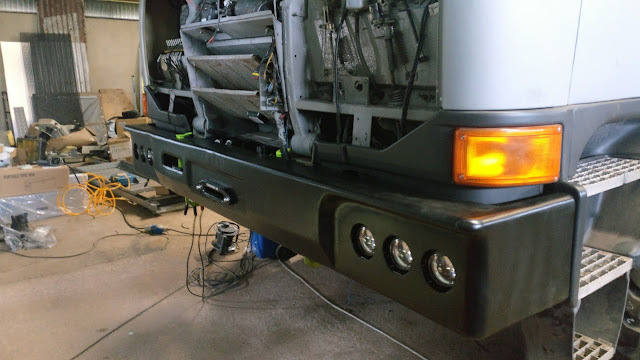 Next thing is to wire the cab switches so i can turn the lights on and take a look at them, maybe a bit of alignment as well.